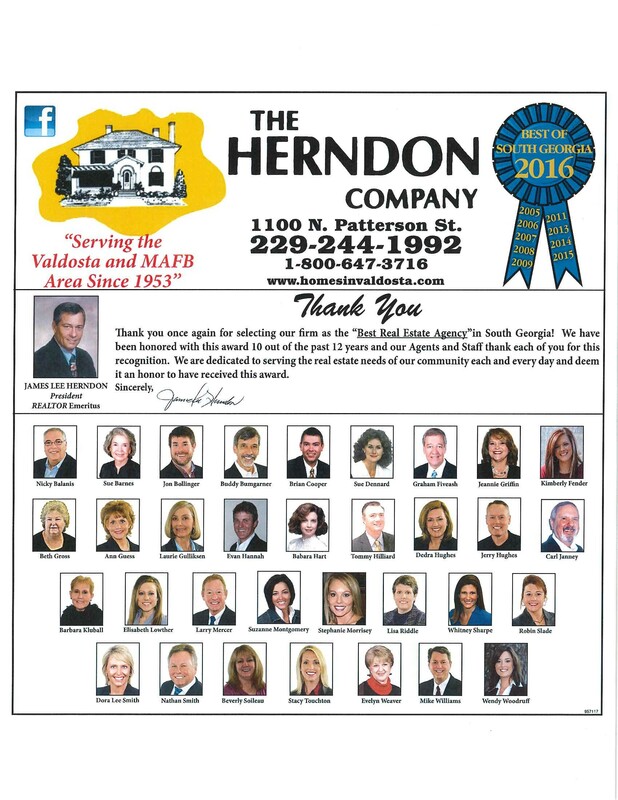 Thank you all for taking your time to choose us once again as the "Best Real Estate Agency" in South Georgia for 2016!! 10 out of the past 12 years! !